Don’t see one of these sitting by the side of the road every day now do you? 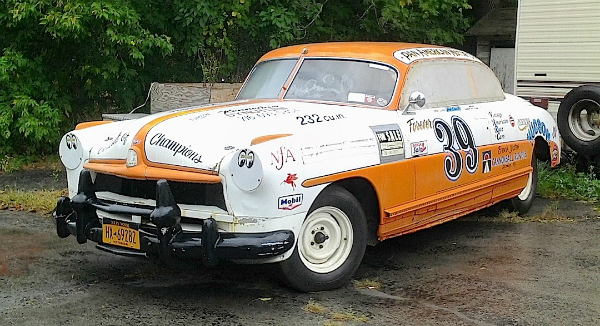 It’s a 1949 Hudson Commodore stock car, wearing the colors of the Pan American Motor Car Co., and Brock Yates’ Cannonball Run Pub in Wyoming, N.Y. An article on BringATrailer.com says it was listed for sale on eBay but, clicking on the link I found the auction to have ended. I took this photo over the summer in Sanborn. Jim Corbran, RRofWNY …and check out our Facebook page: Non-American Classic Cars The post RealRides Of WNY appeared first on Buffalo Cars.